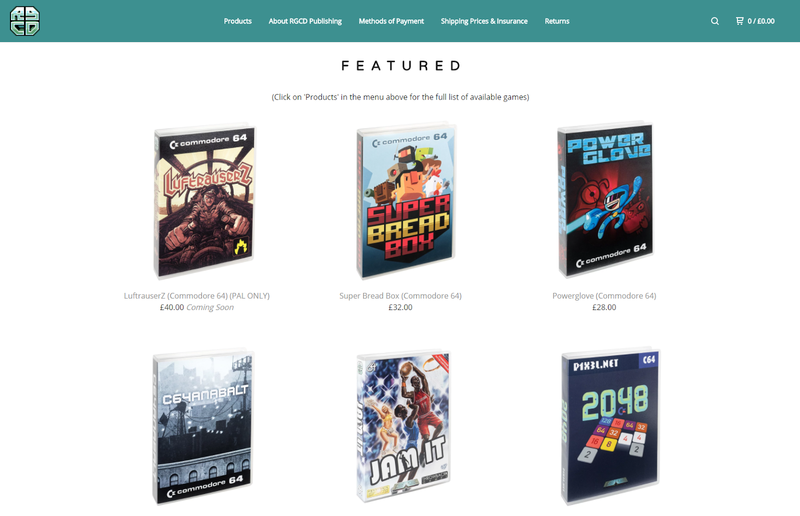 RGCD: Cartridge Restock, Webshop Update & New Releases! Ok, so just a super quick post here (before the big LZ announcement) to say that C-2048, Moonspire, C64anabalt, Powerglove, Super Bread Box, Jam It! and something else are all currently back in stock at our web shop (which has also recently received a massive facelift). New labels and manuals are also now available for Super Bread Box, C64anabalt (and Powerglove) for those of you who purchased the games before but want to give your copy an upgrade. And talking of upgrades, new manuals and labels are also in production for Space Lords, Bomberland, Assembloids and Rocket Smash EX, so expect to see those titles back in stock in the new year. Finally, joining them will be a handful of new cartridge games too! Planet Golf by Antonio Savona, MAH from Retream and Yoomp! 64 by Zbych. So watch this space!